PBL offers mechatronic solutions for motor ratings from 0.37KW to 7.5 kW for wide range of motion control applications. 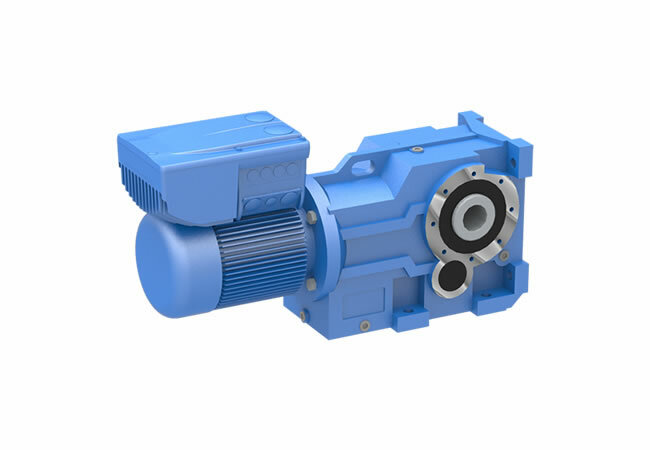 These Variable Frequency Drive is integrated with the Geared Motor (decentralized drives) and hence can be controlled remotely. 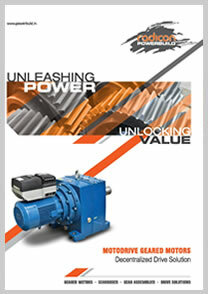 The RADICON POWERBULID MOTODRIVE Solutions are available with all categories of Geared Motors. They are customized for application like food processing, material handling conveyors, packaging, baggage handling etc. Lesser wiring, smaller control panel. Easy to install, commission and debug. Four line alpha numeric keypad - easy to use. Quick-replacement module reduces downtime drastically. Extremely handy keypad for diagnosis and trouble shooting. 150% of rated current upto 60 sec. Relay O/P - 01 no. (0-±10 V DC and 0/4 -20 mA). Upto 1.5kW - 250x200x150 mm. Above 1.5kW - 300x260x150 mm. 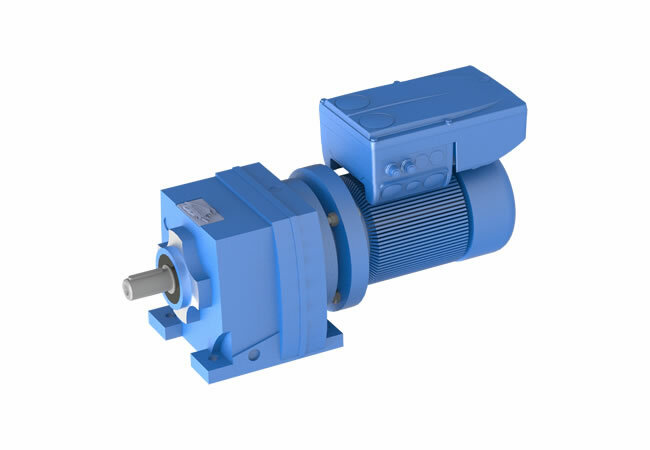 External electro-mechanical brake control and supply.